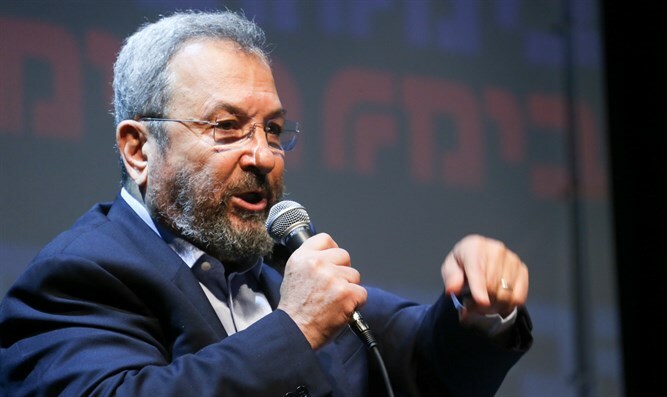 Former PM Barak says Netanyahu's son 'needs a psychiatrist.' Yair Netanyahu does not take it lying down. Israeli Prime Minister Binyamin Netanyahu's son Yair responded to a Facebook post by former Prime Minister Ehud Barak. In the post, Barak slammed Yair Netanyahu, writing, "Is this what the kid hears at home? What is this, genetics or a spontaneous mental illness? It doesn't matter. At any rate, it would be really worth it to pay for a psychiatrist for him, instead of a personal security detail and private vehicle." Yair Netanyahu responded, "I hope Ehud Barak did not tweet about me from his Boston residence (where he goes from one dubious business deal to another) while he is drunk (which I remember him as often being). It's time for a geriatric doctor, Ehud." The younger Netanyahu also slammed the extreme left-wing Haaretz newspaper for its tweet which claimed that "Yair Netanyahu attacked Manny Naftali in a caricature taken from anti-Semitic conspiracy websites." "That's hilarious, Haaretz itself is anti-Semitic, and 25% of it is owned by the former Nazi news corporation, DuMont Schauberg, which was responsible for spreading Nazi propaganda during the Holocaust. Its current owner was part of the Hitlerjugend (Hitler Youth) - and he's lecturing me about anti-Semitism." Manny Naftali was in charge of the Prime Minister's Residence for several years. During those years, the expenditures on food were five times higher than during the four years after he left. He accused Sara Netanyahu of responsibility for the expenses, leading to her indictment on suspicion of misuse of state funds. Naftali, one of the leaders of the smear campaign against the prime minister and his wife, was granted state's witness status, a development which is now being contested.